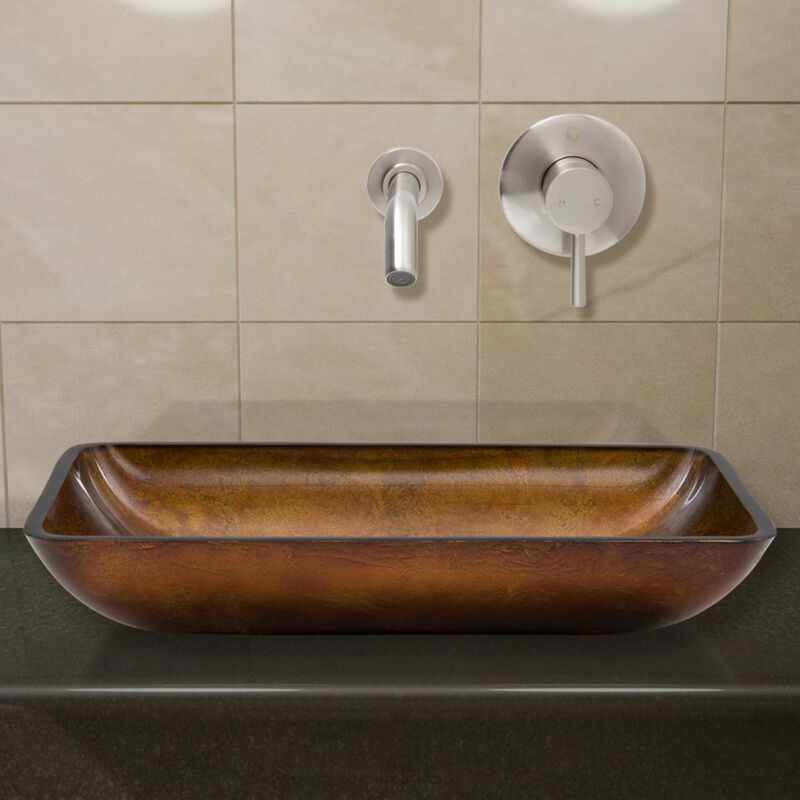 Glass Vessel Sink in Rectangular Rusin with Wall-Mount Faucet in Brushed Nickel is rated 5.0 out of 5 by 2. Rated 5 out of 5 by BigMamaMartin from Stunning!! We are doing a complete remodel of our master bathroom, and this sink took it to an entirely different level! Our bathroom looks AMAZING! It looks even more incredible in person than it does online. You will NOT be disappointed! Rated 5 out of 5 by NicoleMurray from Gorgeous I love this sink. It's gorgeous and the attention getter in the bath. The water flow is a bit minimized, but it works. Bought on Amazon and my only complaint is that the price dropped after I bought it and I can't seem to get a refund.